A tender Jumbo Cutlet made from our soy ham prepared throughout original technique with soybean protein. Enjoy a rich and flavorful soy cutlet with the texture and consistency of pork. 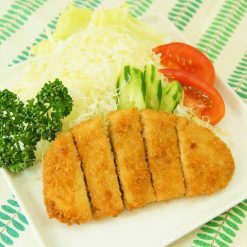 A rich Jumbo Cutlet made from 100% soybean protein. Great vegetarian or vegan substitute for meats such as pork. High in protein, isoflavones, and soy lecithin for the benefit of your skin and health! No artificial coloring, artificial preservatives, additives, or geneticially modified crops used. 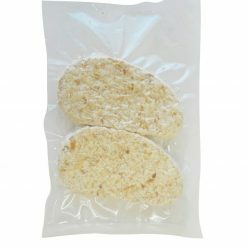 Fry frozen soy cutlet at 180EEE for 3 – 4 minutes.